Chris Evans—AKA Captain America, AKA the best Chris (don’t @ me)—is known for being funny, and silly, and outspoken on social media. 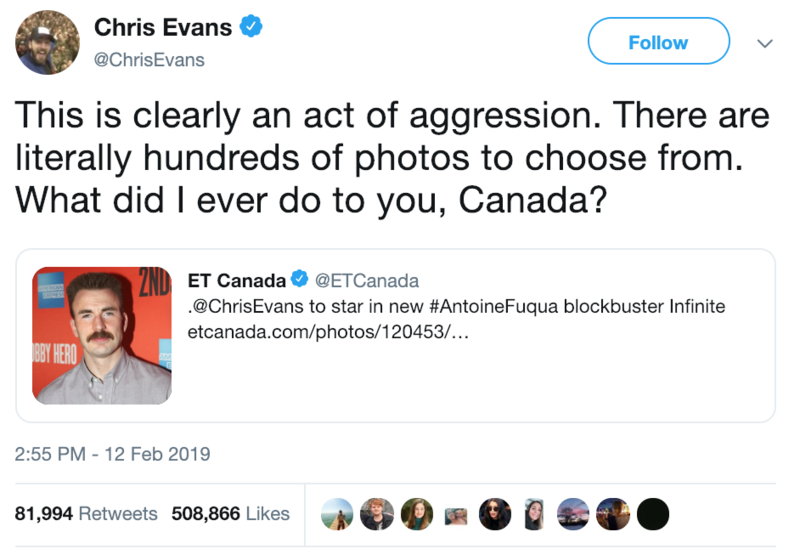 So his recent response to a story ET Canada tweeted of him—complete with an arguably rough photograph as the thumbnail—is honestly fully on brand. 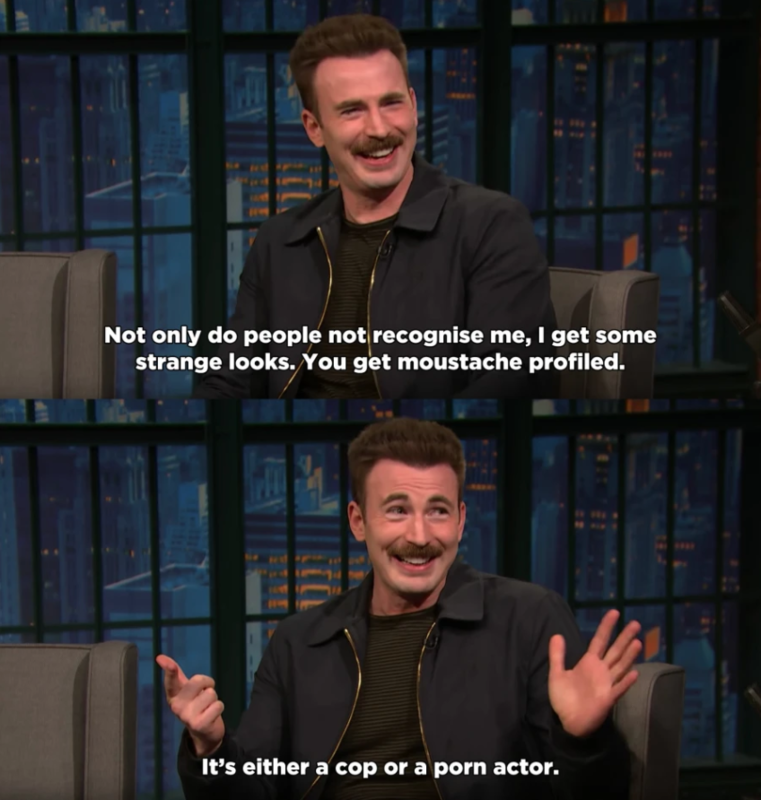 Evans confessed to Seth Meyers on Late Night that his mustache—which he grew out for a Broadway role in 2018—isn’t even a look he likes. Fans on Twitter died at Evans’ reaction. We must protect this national treasure at all costs.